Wondering what’s there in an expert traveler’s backpack? I have the same curiosity as you have and without wasting any time, let us open the bag and find out the 17 travel essentials you will ever need! Made from waterproof fabric, Sea to Summit Compression Dry sack allows the air to be pushed out and prevents the water from flowing in, thereby helping you keep the inside contents dry regardless of the situation. The sack is lightweight with an air permeable base and a pull handle for easy transport. Most of us find it hard to sleep on the travel and Cabeau’s Evolution Neck Pillow addresses the issue perfectly. Plush memory foam cushion at the center, 360-degree head + neck support, washable soft cover, and the ergonomics make Cabeau Evolution Neck Pillow one of the best travel essentials. The product also comes with a memory foam earplugs. Carrying a legacy from 1897, Swiss Army Knives are one of the must have essentials for travelers worldwide. Be it exploring the mountains, adventuring the seas, or venturing into the woods, the iconic Victorinox Swiss Army Knives have got your back and now you can be totally fearless! Keeping up with the weather during your travel is really a tiring thing to do. And while the weather can’t be just maintained the same throughout the day, we can instead make traveling on-the-go a little easier by carrying on the Lifetek Traveller 42” Travel Umbrella. Stylish and functional, these umbrellas work on the auto open close mechanism and are great to hold, thanks to the rubberized comfort grip. Rated no.1 by Good Housekeeping, 40 Blinks Sleep Mask is the best sleep mask available in the market right now. Specifically designed keeping the consumer’s comfort in mind, 40 Blinks Sleep Mask is gentle with adjustable velcro straps and doesn’t add pressure to your eyelids. You can sleep comfortably wherever and whenever you want. Incredibly cheap and of the highest quality, VE Monk Earphones have been giving the top brands a run for their money for a while now. The best price-for-performance earphone is one of the must get travel essentials and the translucent shell makes it even more attractive. Any big plans for your #payday? #PowerOn 📷@verge #Anker #PowerPort 5 – link in bio. If you are a modern-day traveler, then you must be knowing the pain of keeping your devices alive throughout the travel. In this regard, Anker 5-port USB Charger is a real-life saver and lets you charge up to 5 devices at a time. Compatible with Apple, Android phones, and other devices, Anker 5-port USB Charger is compact and provides fast charging. So you have packed everything in your bag and are already traveling. Suddenly you want something very important from your bag but you are unsure as of where exactly you can find it. I know, we all have faced this issue. The solution to this is to get an Eagle Creek Pack-It Starter Set. It lets you compartmentalize your clothing, organize the contents, and compress them free of wrinkles. Eagle Creek Pack-It Starter Set has a lifetime warranty. Going out on an all-out adventure exploring the tough terrains around the world? Then, you must definitely check out Merrel Shoes. From hiking shoes to trail running shoes to casual outdoor shoes, Merrell Shoes have it all. Crafted with durable leather, Merrell Shoes seals out water and helps you stay dry. @backpackerscom – We’ve awarded the @Sawyerproducts Squeze water filter as the #BudgetPick for the #WildernessBackpacker. Read the full review and get the gear on our website! Link in bio. Photo and review by @kaymkieffer. For health-conscious people like me, traveling on-the-go can be really hard. The main reason for this is, it is very hard to find clean water in all the places that you go, which is where Sawyer Personal Water Bottle Filter comes in. Weighing just 5.5 ounces, the BPA free durable bottle comes with an attached filter that removes 99.99999% of all bacteria. Assuming that you have already got windproof umbrellas. Is that all you need to brave the weather? The answer is sadly no. Because there will be often times when you will come in terms with awful lighting conditions and the best way to tackle it, is to get Black Diamond Headlamp. Illuminated by 300 lumens of adjustable light, Black Diamond Headlamp is powerful, waterproof, and offers incredible brightness in any weather condition. Music lovers (pats self), this one is for you. Blasting with an insanely great sound all the way around, the 360-degree UE Boom Wireless Speakers are absolute bomb! Pair Google and Siri with the speakers and dance to your favorite music. Standing true to its name, UE Boom wireless speakers offer the best sound to your ears and is one of the best travel essentials to pack in your bags if you love music. How to wash your laundry with Dr. Bronner’s Liquid Castile Soap! Add 1/3-1/2 c. of soap for a large load in a normal washer. If you have hard water, add ½ c. vinegar to the rinse cycle. Use half of these amounts for HE. From washing your face to shampooing your hair to cleansing your body to cleaning your floors, Dr. Bronner’s Pure-Castile Soap offers 18 solutions in just 1 bottle. Made with almond, Dr. Bronner’s Pure-Castile Soap is warm, comforting, and is bio-degradable. Motion sickness is a common problem that halts the happiness of many travelers. Luckily, with IMODIUM® Multi-Symptom Relief caplets, you get instant relief and on the top, it works well for most of the common illness – diarrhea, cramps, bloating, gas, and pressure. We can’t be certain how your evening will go but we can #BeCertain you’ll stay dry! Happy #ValentinesDay from Certain Dri! For those who sweat profusely and are worried about body odor while traveling, Certain Dri Perspirant is the right thing to pack. Clinically tested and highly recommended by the doctors, Certain Dri Perspirant regulates your body odor and doesn’t have any side effects. During travel, you are not always fortunate to sleep in the cleanest of places. Sometimes, you will have to adjust. While some of us try to adjust, it is often times difficult to get a proper distraction-free sleep. To overcome this, get a Sea to Summit silk travel liner and you are good to go. Topped with the finest of silk, it will keep your sleeping bags clean and offer you a sound sleep even in the shabbiest of hotels. Keeping track of the luggage weight as you go is a huge task and is troublesome too. This is where the need for having a handheld luggage scale comes in and the best way to do it is to carry a Balanzza luggage scale. Pioneer in this industry, Balanzza was the first brand to introduce the concept of digital luggage scale to the world. 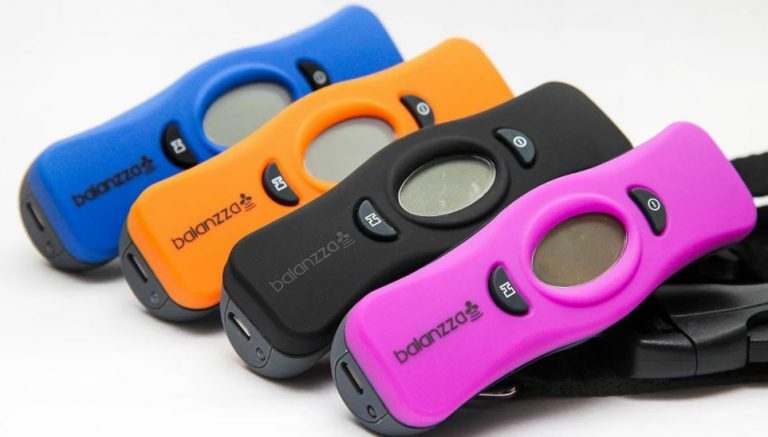 Balanzza Luggage scale is very easy to handle and readily solves traveler’s problems. All set with what to carry but not sure where to travel? Explore it here. Also, the next time you travel, the world will not be same. How to Plan a Trip from Scratch?